A Free MMORPG is a MMORPG without a recurring subscription fee. Free MMORPGs are a little harder to find than Free Online RPGs because nearly all MMORPGs charge monthly subscription fees. However Free MMORPGs are becoming more abundant as stellar games like Guild Wars champion this emerging niche. Since there are no subscription fees these games usually find other ways to make money such as offering in-game advertising selling via retail only offering premium accounts at a fee or charging for in-game items. Massively multiplayer games that require a monthly fee. Sequel to one of the most popular online games of all-time. Has been successful as a full MMORPG and is a MMORPG Showdown winner. Cartoony MMORPG that looks similar to a console game where you can trade items. The best MMO on a Dungeons and Dragons world to date. The game is free but has only two character slots. Has one of the best combat systems of any MMO. GameOgre.com has a guild on the Mindflayer server. 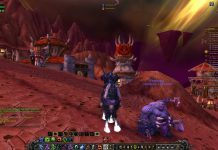 Once considered a possible WoW killer it was considered an innovator in the same veign as Darkfall. Now it has a free version. Brutal MMO that was highly anticipated due to its subject material and starting levels. Fantasy MMO from NCsoft about an ethereal world with angels demons and dragons. In addition to players being able to fly with wings Aion uses a combination of PvP and PvE known as PvPvE. Superhero MMO with amazing customization options by Cryptic Studios. Super hero MMORPG with well-loved heroes and villains such as Batman the Joker Superman and Flash. A dream game for any old school RPGer. Now offers a free version. Started off as one of the best pay games behind World of Warcraft but is now one of the best free ones. Also started as pay-to-play but now has a free version. Although not a huge blockbuster does have a loyal following. .
Free to play MMO game that has often been compared to World of Warcraft. 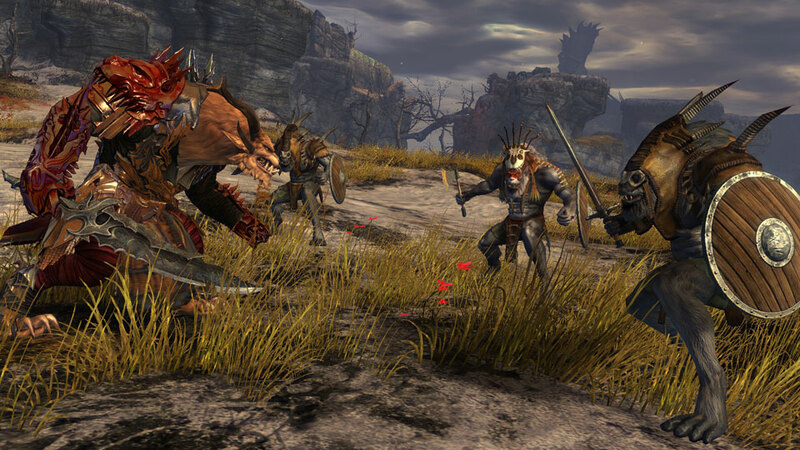 Offers castle sieges nation wars battlegrounds and action-packed PvP. Free MMORPG that can be bought in stores but does not have any monthly fees. Guild Wars 2 should be out shortly. Offers a huge game world enough quests to minimize grinding the ability to fly and awesome character customization. Magical flying MMO that stands for “Fly For Fun”. Action MMORPG that features fast paced combat cloth physics and the ability to weaponize objects in the environment. Uses talismans as a major feature of the game. Has had many Giveaways on GameOgre and has been the subject of a video. Interesting setting that blends the ancient Chinese European and Islam civilizations with fantasy. Originally a Korean game Shaiya focuses largely on various forms of PvP and resembles Lineage II somewhat in terms of graphics. Playing the game in Ultimate Mode could lead to permanent death for a character. 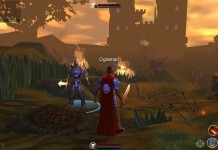 A 3D Fantasy MMORPG published by Gamigo. 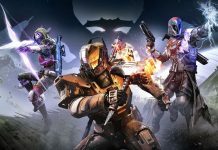 The game has a strong emphasis on PvP combat and an extremely high level cap of 180+. Marriage guilds and blood relation all play large roles in the game. 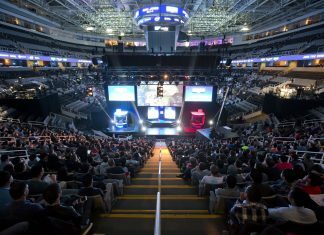 Has quickly become one of the top games in the industry with millions of players. FR is like a virtual world where players can hangout with friends and play mini-games. Fully 3D MMO that gives players a plethora of choices such as fighting monsters participating in guild wars crafting selling goods and going on special quests known as Kingdom Quests. Fantasy MMORPG by Perfect World Entertainment that is based on the Chinese literary classic Journey to the West. ESO boasts many interesting features including a birthday skill system an innovative pet system and a card system where players can become monsters. Innovative turn-based game where strategy plays a major role. Fantasy MMO that tries to satisfy PvPers with massive real-time battles between guilds and solo gamers with extensive quests. This game was launched as a pay-to-play game but now no longer charges a monthly fee. 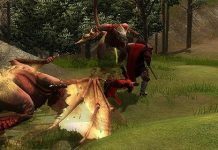 3D Fantasy MMO from the same company as FlyFF. There are three playable races and each one has its on theme and home city. The graphics for this game are just as good if not better than many pay-to-play MMOs. Full 3D fantasy MMORPG with amazing graphics. Most innovative feature is that players can control up to three characters at once. Instead of having professions all players start out as martial artists in ancient China. 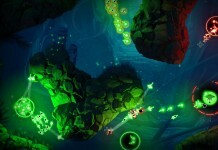 The game’s graphics are inspired by traditional Chinese paintings. PvP focused martial arts MMO that picks up on the momentum of the original. Massively multiplayer game with 3D graphics pets and a personal dungeon system designed for solo players. New concept MMORPG that features an in-game bot used for grinding and video chat. Rather inventive MMORPG where you make your mark in the game by solving different puzzles. If you really want to become a pirate in style with extra gear a subscription model is available. Offers a humorous take on pirates like Puzzle Pirates but plays more like a regular MMO than Puzzle Pirates does with all of its puzzles. Free MMORPG that can be played by anyone since there is no combat involved only people’s imaginations in a close-knit community. Everybody stays in the same world to maintain the great community feel of the game. 3D virtual world that is owned by its players. Although land is sold for real money the game does offer a free basic membership. Full 3D oriental fantasy MMORPG based on a war where a king takes on a leader of demons. 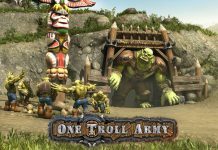 Fantasy MMO where you can play for free but will get the most out of the game by buying the Ogre Island’s special currency OI Platinum. Fantasy MMORPG with impressive graphics. This is the U.S. version and requires a large download. Live out your fantasy of being an action hero in this unique online multiplayer game. Short for “Rush On Seven Episodes”. Was once P2P but is now F2P. Fantasy-based massively multiplayer RPG with anime-style graphics. Forsaken World is one of the latest from Perfect World Entertainment. It features 5 races and 8 different classes. Fantasy MMO based on a magical time period with 2D graphics and over 200 skill sets for characters. Large MMO with a unique economy. There is no monthly fee and no charge for the download. Korean MMORPG that plays similar to Diablo and can now only be played for free up to level 60. Free MMO that uses an interesting tutor system to help newer players get in the flow of the game. MMOG with a Chinese Kung Fu and magic theme. Free 3D MMORPG that allows you to decide whether you want to adventure or engage in finance and politics. Take note that this game is playable but is also constantly under development. Korean MMO with a vampire theme. Free MMORPG with 2D cartoon-style graphics. The download is only around 7 to 9 MB. Free fantasy MMORPG in which there are no fixed classes or professions. Player killers are given special maps in order to fight each other. Excellent browser MMORPG with high-quality graphics and gameplay that resembles the Diablo games. Major MMO that offers a free version with in-game advertising. xicor97 did not rate this post. Tom did not rate this post.